Protect your eyes from harmful rays when you wear these Oakley Jawbreaker Tour De France 2018 Edition Sunglasses in Grey. These glasses are a fitting tribute to the greatest bicycle race. 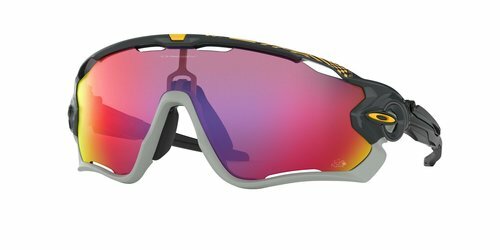 The Oakley Jawbreaker Prizm Road Sunglasses Tour de France edition will get you as much attention as the race.